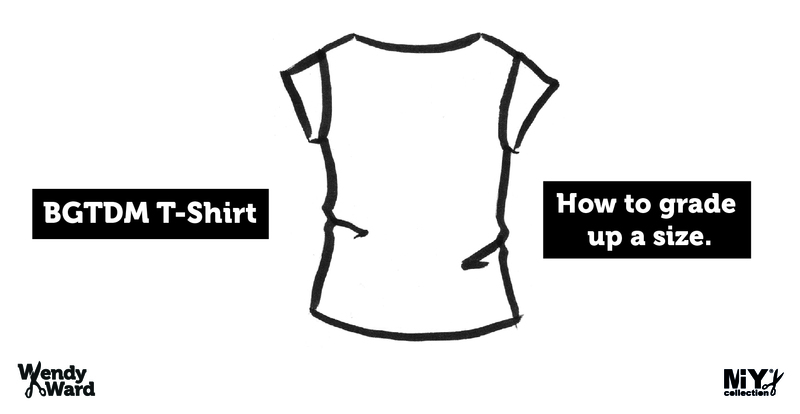 Want to increase the size of the Beginner’s Guide to Dressmaking T-Shirt or the Walkley Vest/Dress but not sure how? Here is a step-by-step tutorial of the quick and easy method I use with my students in classes. 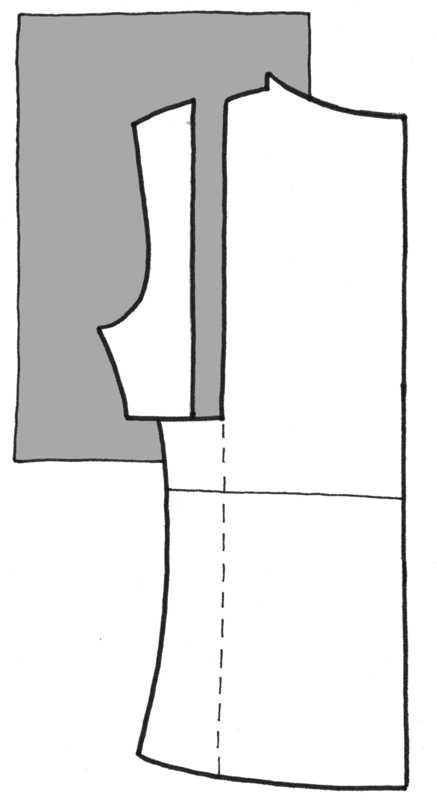 1 – Drop a straight line from the centre of the shoulder to the hem on the Front and Back pattern pieces (make sure the line is parallel to the marked Centre Front / Centre Back of the pattern pieces). Cut along this line to separate the pattern into 2 parts. 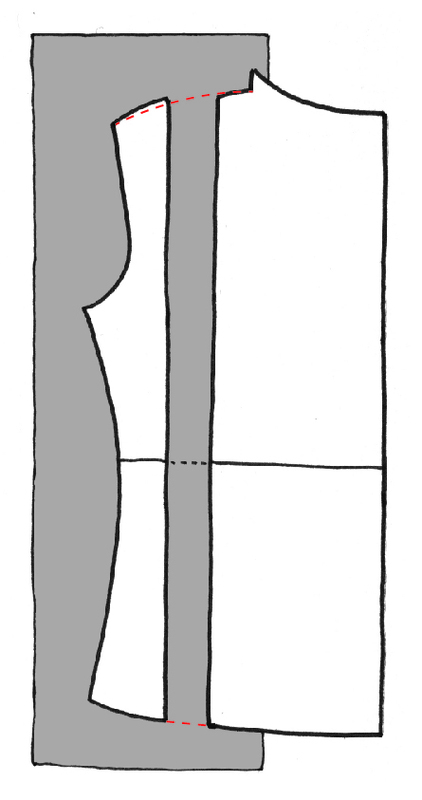 3 – Redraw the shoulder and hemline – see red dashed lines above. 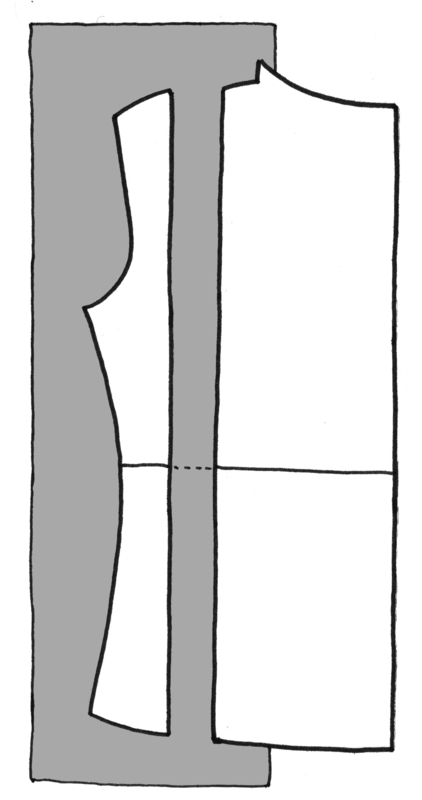 4 – If you needed to increase the waist size by more than the bust size, you can shape the side seam out at the waist level as above. Again, use a quarter of the additional waist adjustment here, ie. if you wanted to increase the bust by 10cm and the waist by 12cm, the additional adjustment at the waist would be 0.5cm (12cm – 10cm = 2cm, then 2 / 4 = 0.5). 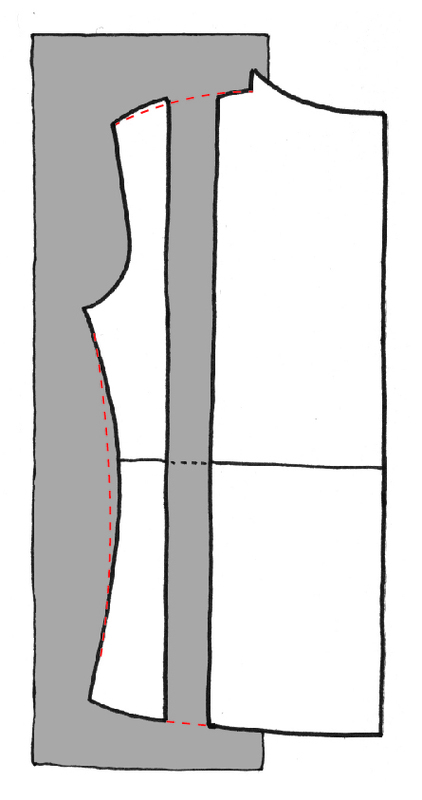 5 – Alternatively if you only want to increase the bust measurement and not alter the waist and hip measurement at all, draw your initial adjustment line as explained in step 1 above, but rather than cutting all the way down to the hem, make a 2nd cut horizontally from the side seam in to your vertical line (approx. midway between the underarm and the waistline) and move this section only out by a quarter of the amount that you want to increase the bust size by. This way the waist and hip measurements remain the same. 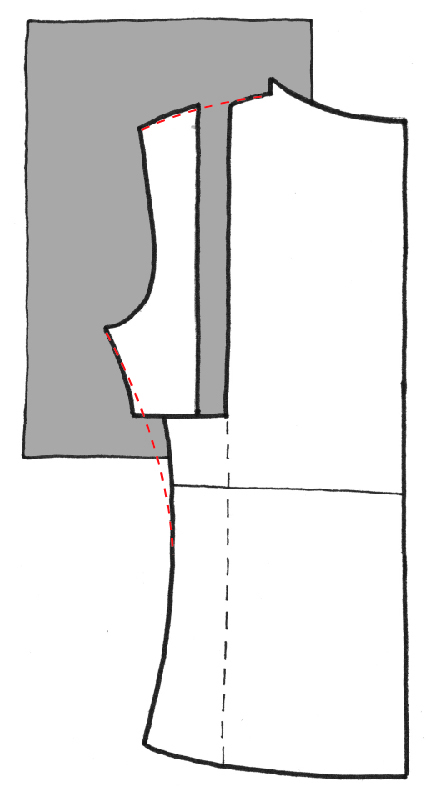 6 – Redraw the shoulder and the top of the side seam as shown by the red lines. This entry was posted in Beginner's Guide to Dressmaking, bgtdm t-shirt, Sewing Help, Walkley pattern and tagged bgtdm t-shirt, grading up a pattern size, increasing pattern size, MIY collection, t-shirt pattern, walkley dress, walkley vest, Wendy Ward. Bookmark the permalink.